Black or white, chessboard or high gloss. Polished tiles UK now offer a range of high-gloss black ceramic tiles perfect for your kitchen or hallway. We also stock a number of sizes from small 8 x 8 squares to the larger 14 in.² Polished black creates a truly contemporary feel for your home, and is guaranteed for over five years. Of course black tiles can be used in combinations with white tiles and a smaller one inch by 1 inch scale to reproduce Victorian tiling that is very popular in some parts of London. Please note that the smaller square tiles, and sheets of 24 and cannot be sold separately. If you're looking for porcelain or glazed tiles then we have a huge range of polished tiles that could fit the bill. If you're looking to replace existing tiles or looking to lay tiles and a room for the first time then you may be interested in fitting service. Polished tiles UK employer number of tilers all of whom are both professionally trained and insured. For more details on fitting service please see our contact page or send us an email using the contact form provided. Please note we offer warranty on all floors fitted only if the tiles are purchased from Polished tiles UK. This is because cheaper tiles or imitation high-gloss tiles can often crack even after limited use. If you're looking for cheaper prices than you may be interested in our price promise the guarantees all polished tiles 10% cheaper than any other tiles you may find online. If black or white tiles is not to your liking please note we have a huge range of colours, styles and shapes of tile to suit all budgets and interior design requirements. 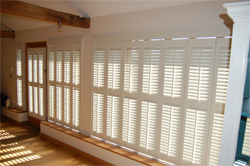 Please note if you are looking for non-flooring products such as shutters and blinds please see our sister company Diamond Shutters based in Kent or you can contact them by telephoning 0845 602 6975.